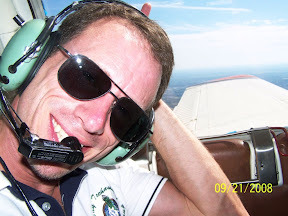 HIV Longevity is a Blog about living with HIV and AIDS. I was diagnosed as HIV+ back in 1986, one year after graduating high school. I have been in a battle with this virus ever since. So far, it has beaten me down on many occasions, but I have always stood back up and continued living despite it. I will use this Blog to inform others what I have experienced and dealt with. You can download a PDF of my complete media kit here. I'm Vaughn Ripley. I've been writing all of my life. Born in Washington D.C. in 1967, and raised in the D.C. metropolitan area, I am a professional database administrator. 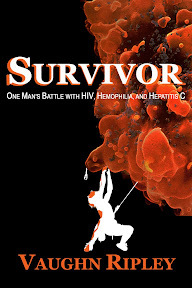 Born a hemophiliac I've wrestled with Hepatitis C, which I recently beat after enduring a yearlong battle with medicine. I've also fought and continue to fight for more than twenty-three years in a battle with HIV and AIDS. I'm one of the longest living HIV+ people on the planet. My wife and I went through many hardships and tribulations to finally have two children via in vitro fertilization. I spent time racing motorcycles on the street and track. I excelled at rock climbing for more than seven years and attempted to climb Mount Rainier. I ran in and completed the New Orleans Mardi Gras Marathon, raising more than $3,500 for AIDS care giving and research. I'm a certified personal trainer and adamantly work out to stay healthy, fit and trim. Along with my adrenaline and fitness related hobbies, I'm also an avid guitarist with a thirst for musical theory. In my spare time I enjoys writing, playing the guitar, weight lifting, mountain biking, four wheeling, and dabbling in poker. I live with my wife Kristine, our daughter, Trinity and our son, Xander, in Brunswick, Maryland.